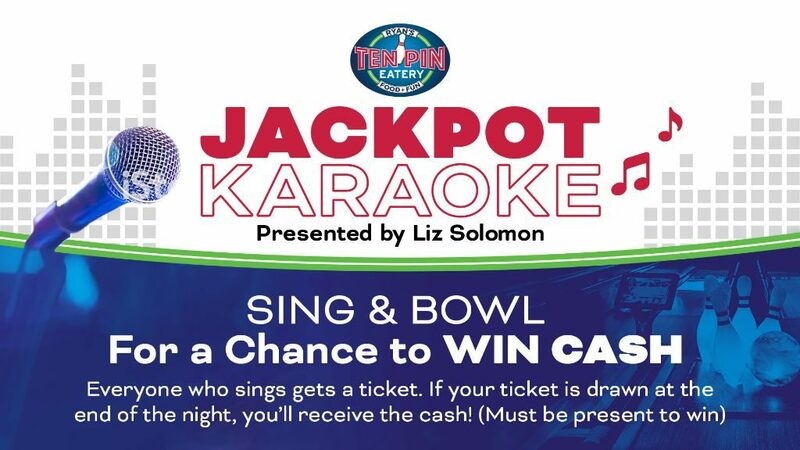 Come out and join us for Jackpot Karaoke Tuesday nights from 8-11 PM at Ten Pin Eatery. Everyone who participates will receive a ticket for a chance to win cash! Every time you sing, you enter for another chance to win. Tickets will be drawn at the end of the night and winners will receive a cash prize! (must be present to win) If not present, jackpot will carry over into the following week.